Grown throughout the Northern Hemisphere, the berries of the juniper shrub contain quercetin, proanthocynidins, and volatile oil. Juniper berries, which take two or three years to mature and can be found on the same plant alongside more or less mature berries, sustain the body’s ability to maintain correct fluid balance. 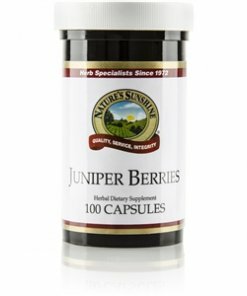 Because of their fluid-balance maintaining properties, juniper berries are exceptionally beneficial for the urinary system. 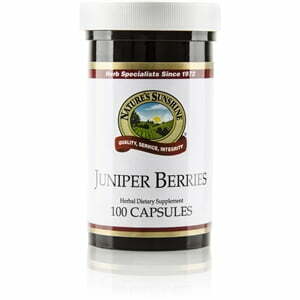 Nature’s Sunshine Juniper Berries come in 400 mg capsules.